Call us for an instant quote or fill out our form and one of the agents will get in touch with a quote. One of our team will come out to you and collect the car from you FREE of charge. Scrap Car Removals Aylesbury, We Buy All Cars for Cash. Runners, Non-Runners & Accident Damaged Scrap. We buy all types of scrap car in the Aylesbury area. Scrap Car Removals Aylesbury buy all vehicles and remove all cars in the Aylesbury area, any condition and any age, including older model cars, scrap vehicles, damaged cars and commercial vehicles, all scrap vehicles that come to us are disposed of in a lawful and environmentally friendly way. 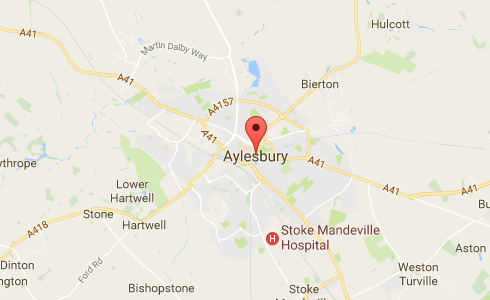 Selling your scrap car in Aylesbury has never been easier. All you need to do is fill out the form on the right to receive your quote. We arrange a time convenient for you; one of our friendly and helpful agents will pick up your vehicle and pay you cash for your car. We collect scrap cars in Aylesbury and throughout the midlands, we often travel that little bit further, so why not give us a call or fill out the form on the right. At Scrap Car Removals UK we carefully remove all harmful chemicals from the vehicles; we dispose of them in line with government legislation and guidelines. Yes, that`s right, Car Removals UK really do buy all vehicles - running or non-running, regardless of age or condition. You will be pleased to know that our professional team are also very informative, we know everything there is to know about car scrapping, so, if you have any questions regarding the process of scrapping your car, cashing in your car tax, or help with transferring your number plate, we can guide you in the right direction. We know how important the legalities of scrapping a car is to you, therefore we follow all the correct procedures when we scrap your car. Car Removals UK care about the environment that`s why we are passionate about scrapping/disposing of cars that are no longer friendly when it comes to emissions. Scrap your car today; tell us your car registration to get the best price for scrapping in your car. Sell your vehicle hassle free today, in a legal professional way! Fill out the form on the right and get your free quote instantly! "Excellent service, a professional and friendly driver came to collect my car, he was on time and gave me my cash before he took the car away, i was pleasantly suprised and i would definately recommend"